A colourful gate of an industrial unit on the outskirt of Chennai! And it’s an instant click from one of my outing. I like this colourful gate! It helps brighten up the place! 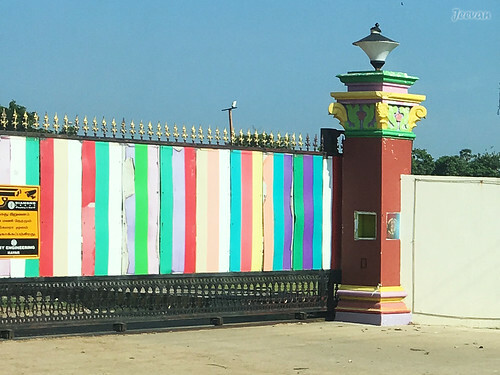 A rare colourful gate, that too outside an industry! The rainbow colours are lively and attractive. Interesting! Have never seen a gate like this before! So colorful and beautiful and neat photo!